The annual Kölle Geht Steil party was truly a blast in a fancy atmosphere with patrons turning out in inventive costumes and styles. Everyone was dressed up and cheering along to reggae and dancehall anthems when Cologne’s Vibe Machine – Kingstone Soundsystem kicked off the show at Stadtgarten. Junior Lion and Selecta Tim paved the way before the main act and specials guest from Jamaica took over to tear off the roof of Kingstone’s home turf in Cologne, Germany. No other than Jazzy T from Renaissance Disco was there to play a memorable dance covering all corners of the musical genre: from new tunes to classics, from roots anthems to rub-a-dub ballads and of course the hottest and most impressive dubplates from Renaissance Disco. Jazzy T had the crowd instantly on his side and put the dance on fire. Meanwhile DJ Marious and Bassliebe Team floated the two other floors with their most passionate bass music: hip hop, drum & bass and dubstep. Until the wee hours all three floors were highly frequented and infected with great carnival vibes. 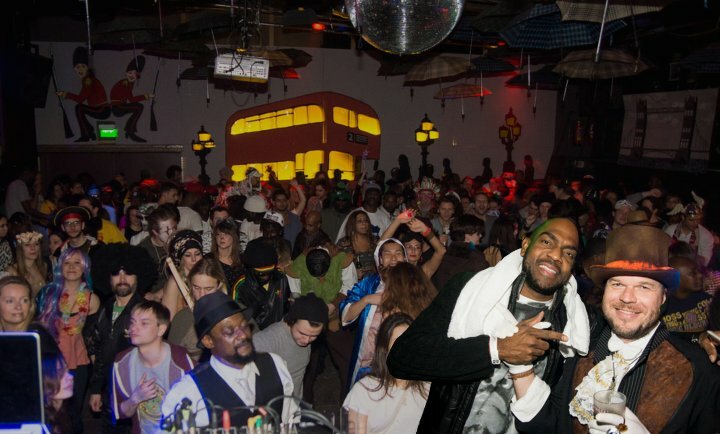 Big up everyone who turned up and made it to what is was – a great dance. Next stop is the Easter Jam session with Silly Walks Disco featuring Daddy Rings, Kingstone Soundsystem, DJ Marious and Bassliebe Team. Date: March 26.